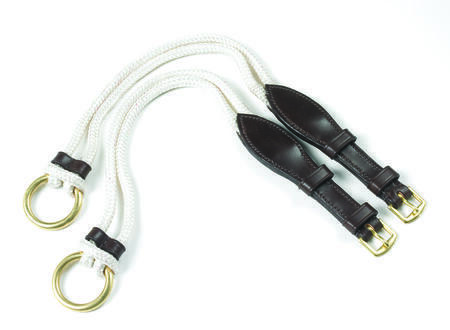 Easy care, padded synthetic training surcingle with a multitude of rings for lungeing or long lining. SKU 221140Our Price $219.99 $137.19 On Sale! SKU 221121Our Price $179.99 $118.99 On Sale! SKU 221127Our Price $219.99 $137.19 On Sale! SKU 231306Our Price $129.99 $89.99 On Sale! 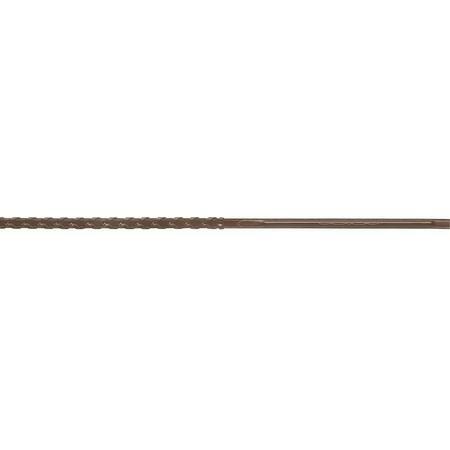 SKU 584022Our Price $124.99 $67.49 On Sale! 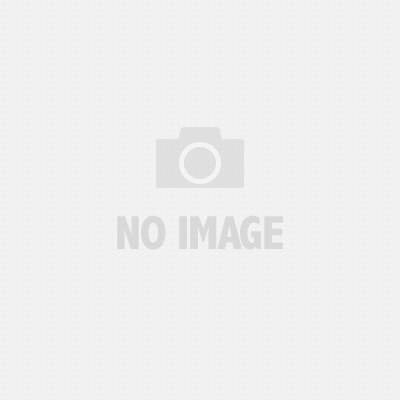 SKU 221137Our Price $79.99 $60.74 On Sale! SKU 220092Our Price $19.99 $12.95 On Sale! Made in a rubber compound. 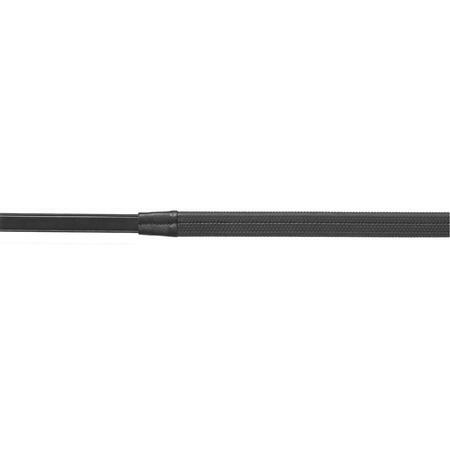 SKU 470046Our Price $72.95 $40.12 On Sale! 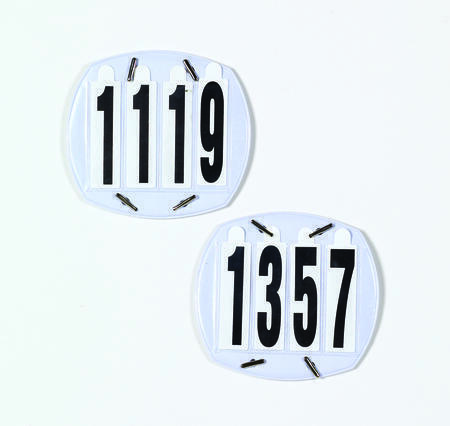 Number sets come with number cards 0-9 for each digit slot. 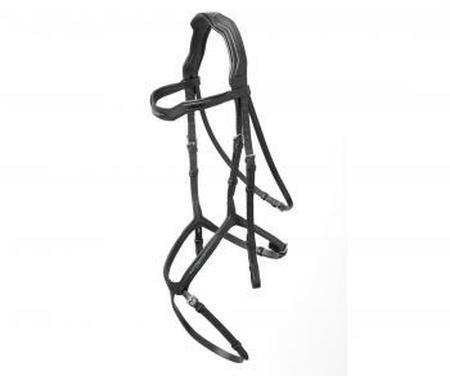 Elastic straps make attaching to bridles or breastplates a breeze. Measures 4 x 4 1/2" Sold in case of 10 pairs. 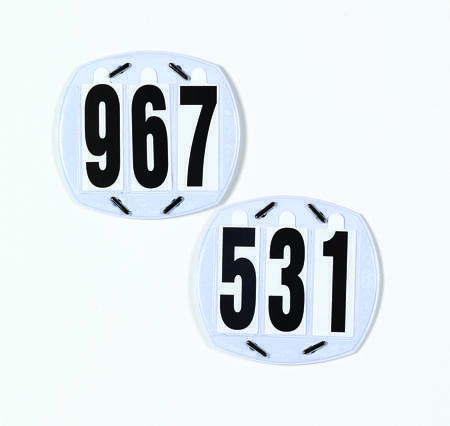 SKU 467377Our Price $14.95 $8.22 On Sale! 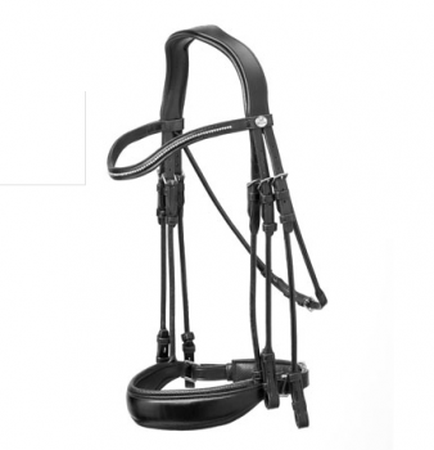 The ATS System provides the ultimate in comfort for your horse. 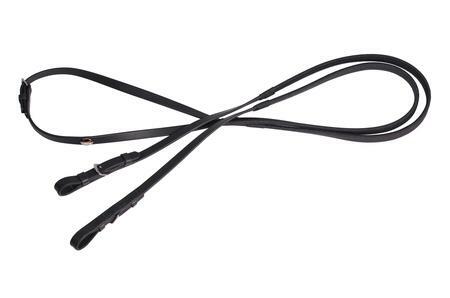 The shaped top plate of the crown allows the ears to freely move, reducing the pressure, which eases muscle and nerve tension, and a thin layer of foam provides shock absorption. 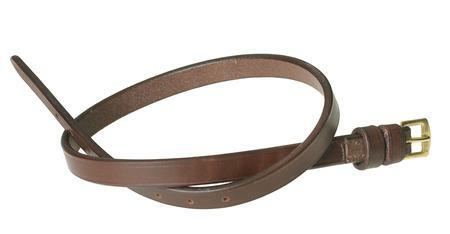 Crafted from hand finished full grain vegetable-tanned leather with a lustrous classic finish. 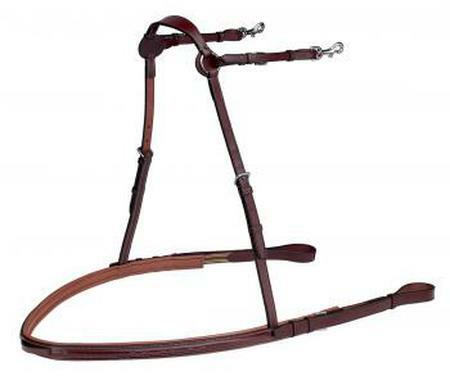 With Anatomic Shaped Padded Monocrown, 7/8” Round Raised Fancy Stitched Padded Straight Browband, 1 1/4” Round Raised Fancy Stitched Padded Noseband, Dual Adjustable Throatlatch and 5/8” x 54” Raised Fancy Stitched Laced Reins. 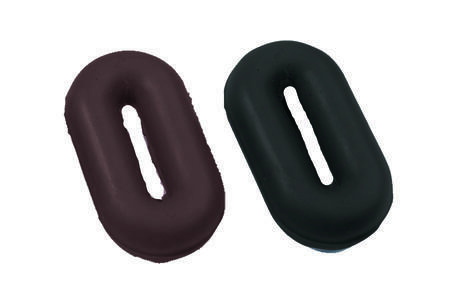 With hook studs. 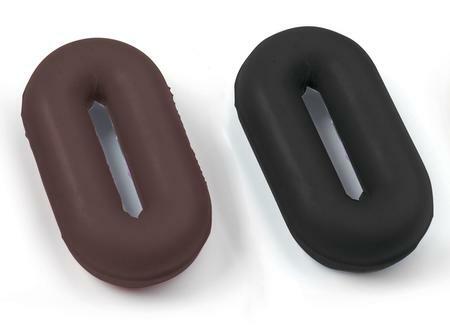 Genuine Biothane® rubber reins are grippy yet super-flexible and feel great in your hands! 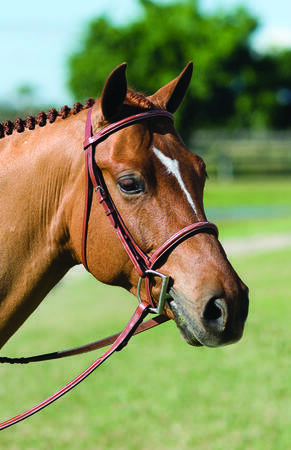 The Ovation® Breed Bridle Collection features carefully selected bridles that are appropriately sized and styled for these specific types of horses. Crafted from hand finished full grain vegetable-tanned leather with a lustrous classic finish. 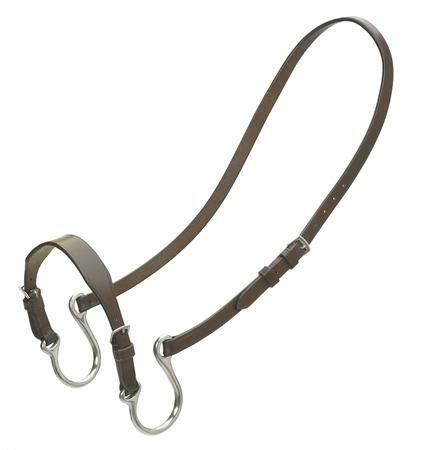 With 7/8" browband, 1 1/2" crank flash noseband and 3/4" x 60" anti-slip reins. 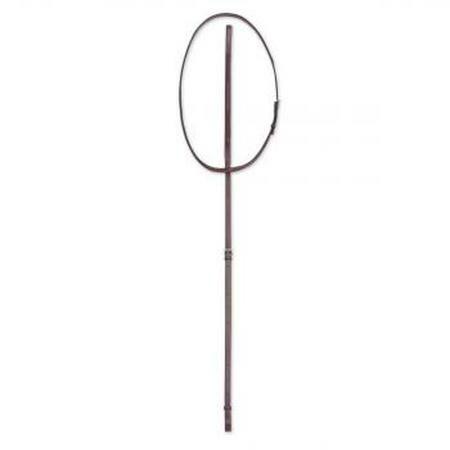 SKU 469928Our Price $119.95 $64.78 On Sale! 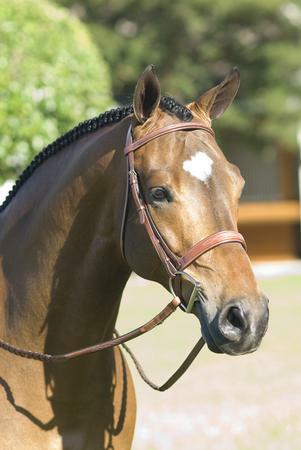 The Ovation® Breed Bridle Collection features carefully selected bridles that are appropriately sized and styled for these specific types of horses. 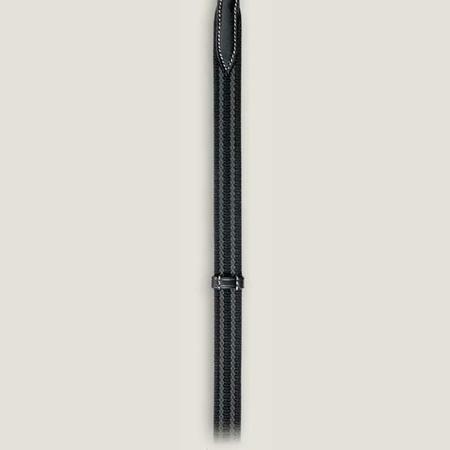 Crafted from hand finished full grain vegetable-tanned leather with a lustrous classic finish. 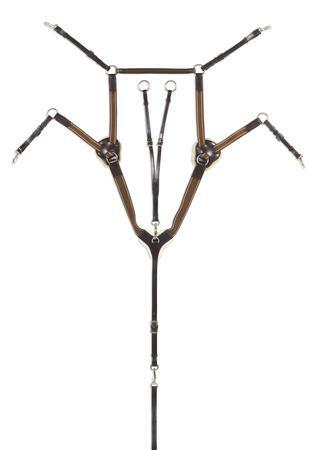 With 7/8" browband, 5/8" noseband and 3/4" x 60" fancy stitched raised laced reins. 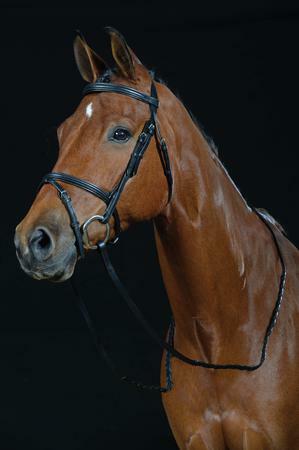 The Ovation® Breed Bridle Collection features carefully selected bridles that are appropriately sized and styled for these specific types of horses. Crafted from hand finished full grain vegetable-tanned leather with a lustrous classic finish. 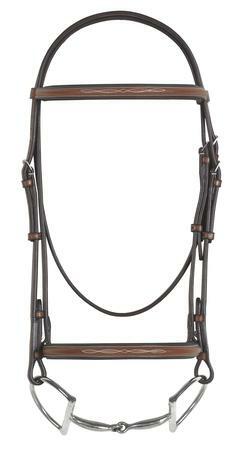 With 5/8" browband, 1/2" noseband and 5/8" x 66" fancy stitched raised laced reins. 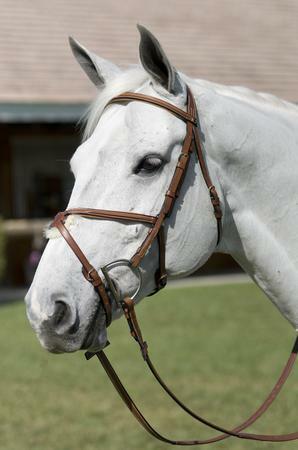 The Ovation® Breed Bridle Collection features carefully selected bridles that are appropriately sized and styled for these specific types of horses. Crafted from hand finished full grain vegetable-tanned leather with a lustrous classic finish. 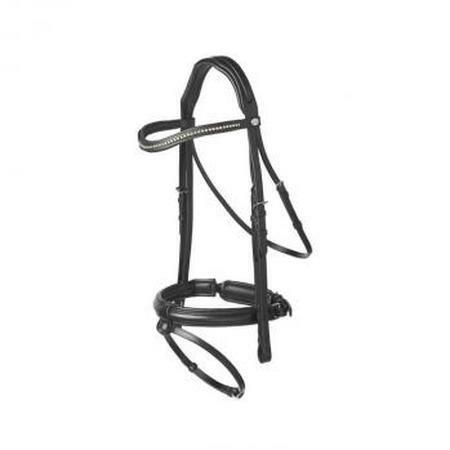 With 7/8" browband, 1 1/2" traditional flash noseband and 3/4" x 60" anti-slip reins. 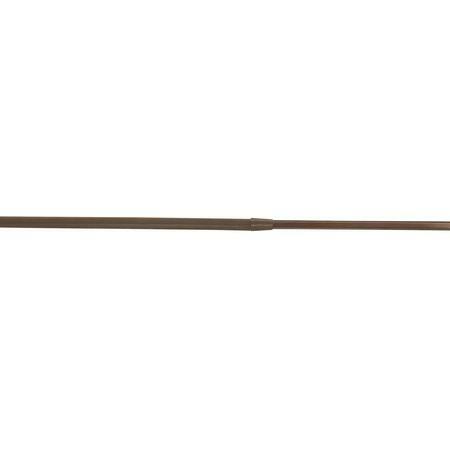 SKU 469927Our Price $109.95 $59.38 On Sale! 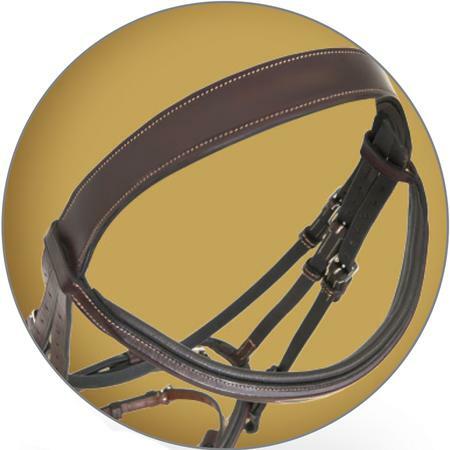 The Ovation® Breed Bridle Collection features carefully selected bridles that are appropriately sized and styled for these specific types of horses. Crafted from hand finished full grain vegetable-tanned leather with a lustrous classic finish. 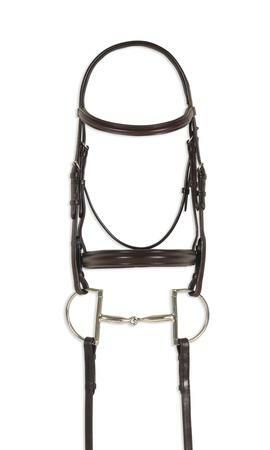 With 1/2" browband, 3/8" noseband and 5/8" x 54" laced reins. 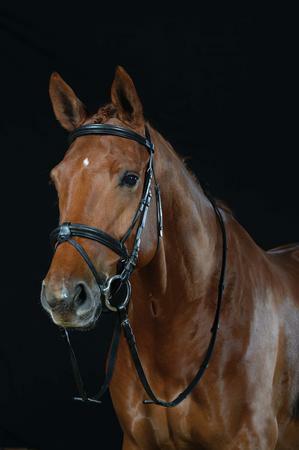 The Ovation® Breed Bridle Collection features carefully selected bridles that are appropriately sized and styled for these specific types of horses. Crafted from hand finished full grain vegetable-tanned leather with a lustrous classic finish. 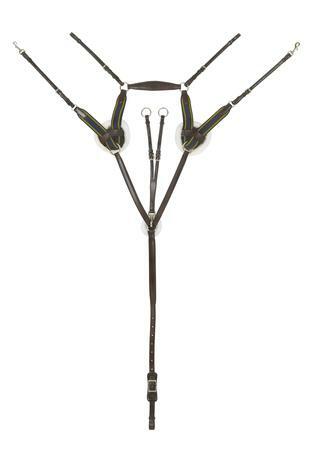 With 7/8" broband, 5/8" noseband and 3/4" x 60" laced reins. 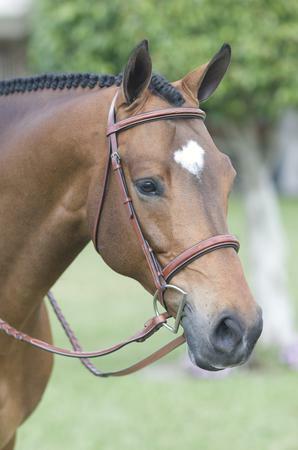 The Ovation® Breed Bridle Collection features carefully selected bridles that are appropriately sized and styled for these specific types of horses. Crafted from hand finished full grain vegetable-tanned leather with a lustrous classic finish. 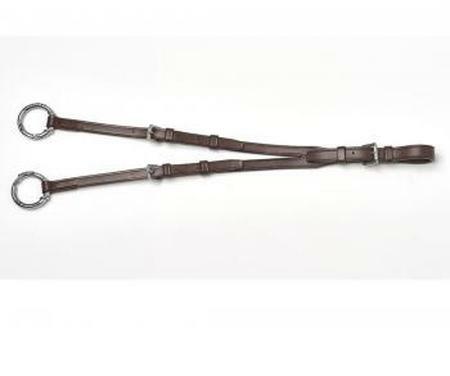 With 5/8" browband, 1/2" noseband and 5/8" x 66" laced reins. 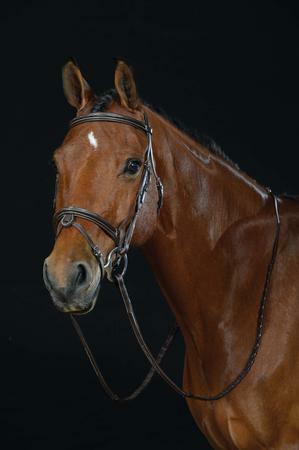 The Ovation® Breed Bridle Collection features carefully selected bridles that are appropriately sized and styled for these specific types of horses. Crafted from hand finished full grain vegetable-tanned leather with a lustrous classic finish. 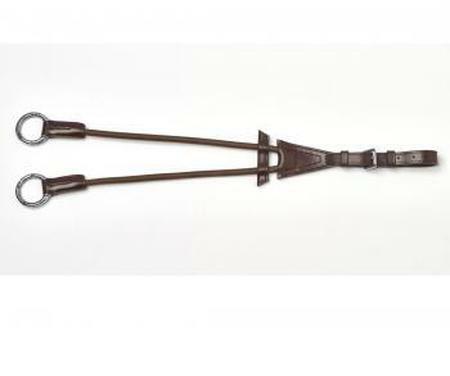 With 5/8" browband, 7/8" traditional noseband and 5/8" x 54" anti-slip reins. 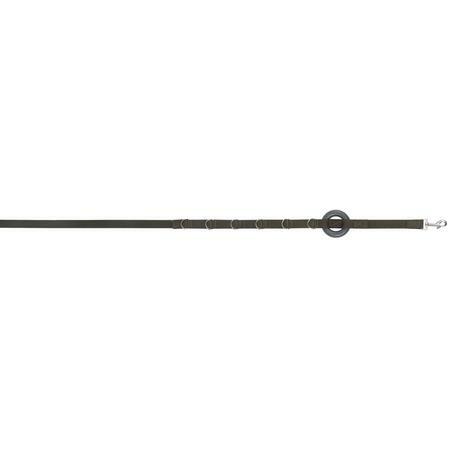 SKU 470228Our Price $99.95 $53.98 On Sale! 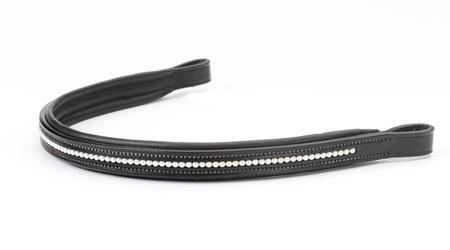 The Cecilia Browband features two sized clear rhinestones in a repeating pattern, and is shaped and padded. Fine, supple Argentine leather with tight, even stitching. Finished with beeswax for suppleness but will still take oil. 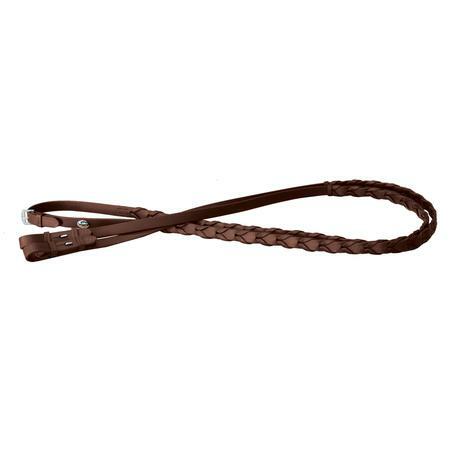 Crafted of fine Argentine leather with a beeswax finish that allows the leather to absorb oil. 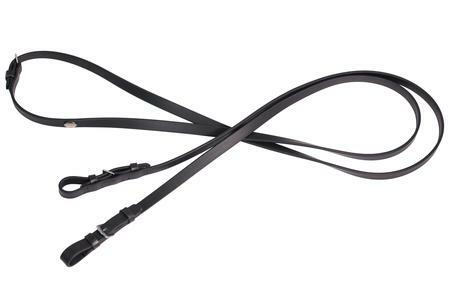 Fine, supple leather with tight, even stitching. Monocrown design alleviates poll pressure. Finished with beeswax for suppleness but will still take oil. 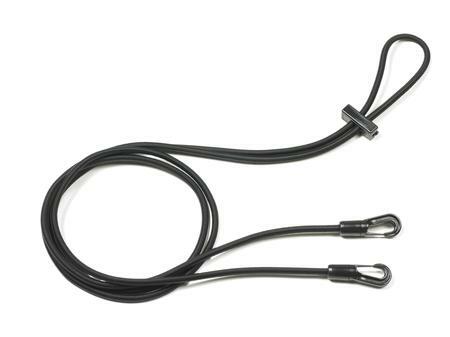 Fully adjustable 5-point with stretch cord running attachment for gentle resistance and control. 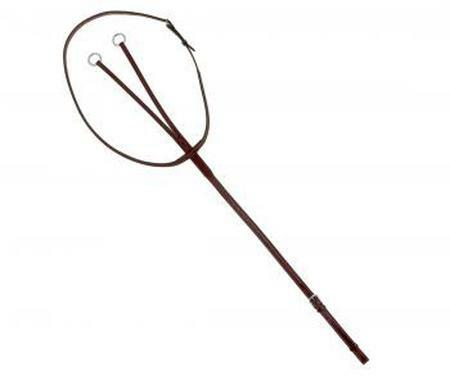 Crafted of fine Argentine leather with a beeswax finish that allows the leather to absorb oil. 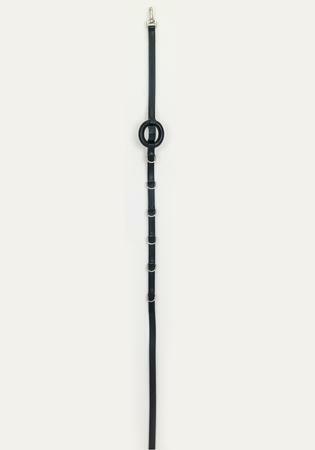 Crystal and onyx stones give this browband a bit of sparkle. 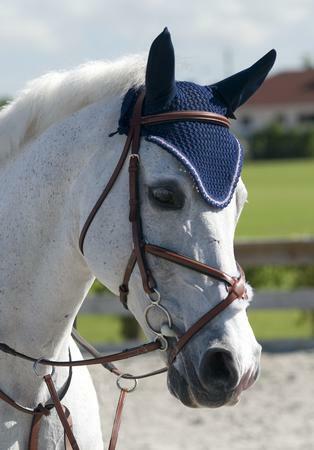 A trim line of dainty pearls in this padded browband set it apart from others. 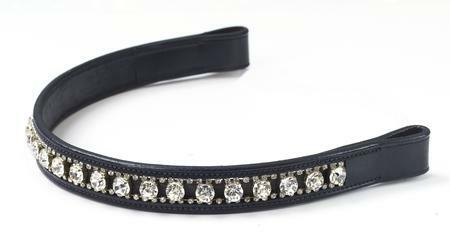 Blue stones flanked by princess clear stones, on a shaped black browband. 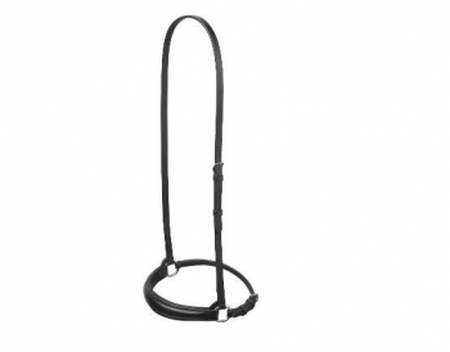 The Diana Browband is a subtle way to add interest to your bridle. 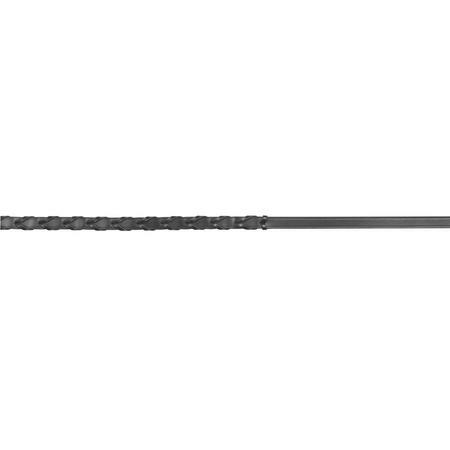 Padded, with alternating metal stud pattern. 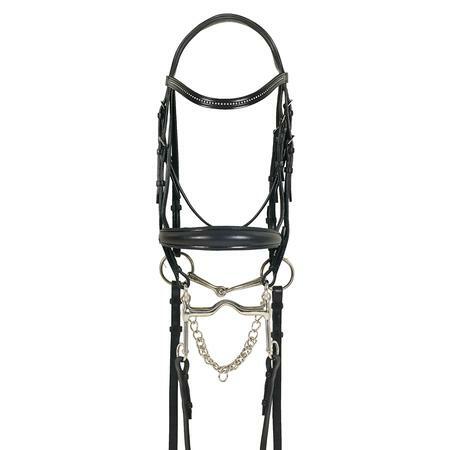 The Elana Browband is all fun and sparkles! The zig-zag shape, combined with the small and large clear stones, really catches the light. 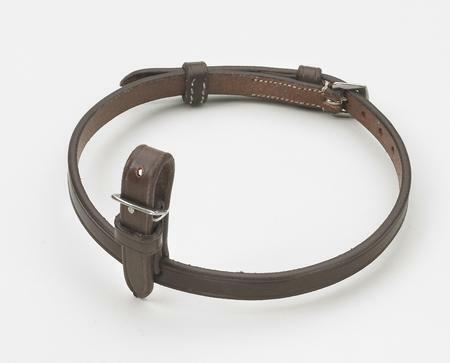 Wicket and Craig American leather is known for its rich color and willingness to take oil. Our Dark Brown Leather collection is accented with champagne colored stitching, enhancing its overall beauty. 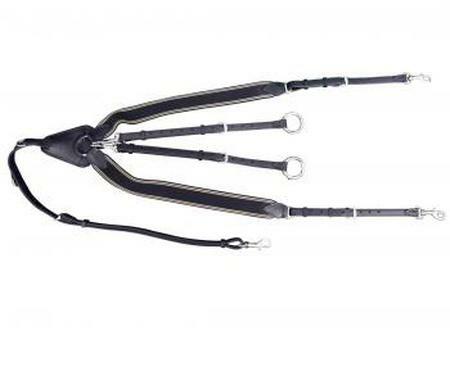 Elastic running martingale forks offer controlled, gentle resistance for humane corrections. Wicket and Craig American leather is known for its rich color and willingness to take oil. Our Dark Brown Leather collection is accented with champagne colored stitching, enhancing its overall beauty. 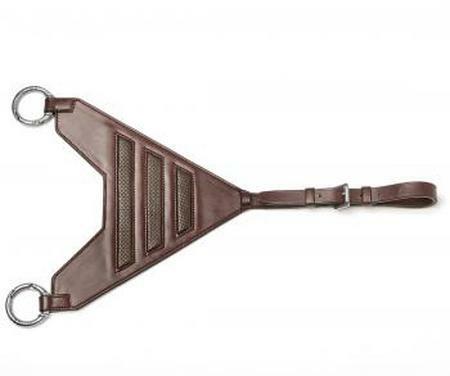 Supple leather crafted into this beautiful breastplate with elastic inserts for freedom of movement. Features sheepskin at the chest center for added comfort, and clip-on adjustable running attachment. Wicket and Craig American leather is known for its rich color and willingness to take oil. Our Dark Brown Leather collection is accented with champagne colored stitching, enhancing its overall beauty. 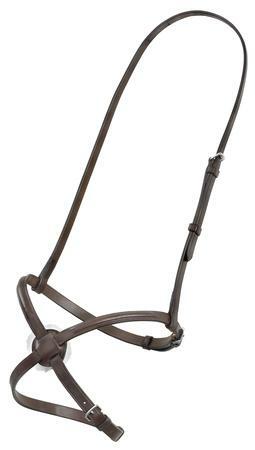 Padded fancy stitched bridle features an wide noseband and Ovation's exclusive "Comfort Crown" design. 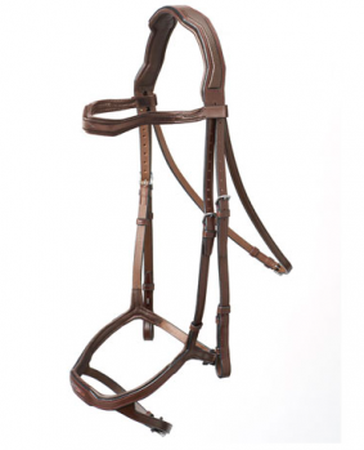 With fancy stitched raised laced reins. Wicket and Craig American leather is known for its rich color and willingness to take oil. Our Dark Brown Leather collection is accented with champagne colored stitching, enhancing its overall beauty. 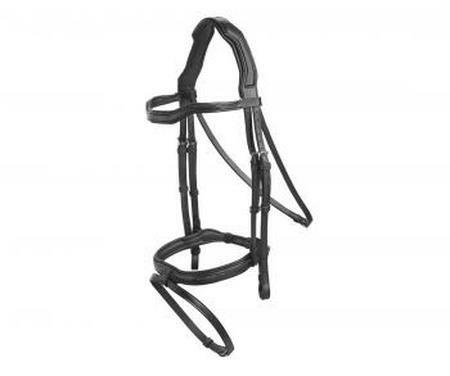 This figure 8 noseband is does not have rings. 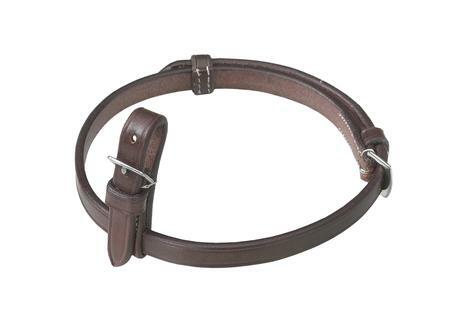 Made in Ovation® 's Wicket & Craig American leather this strap is available with stainless buckles. 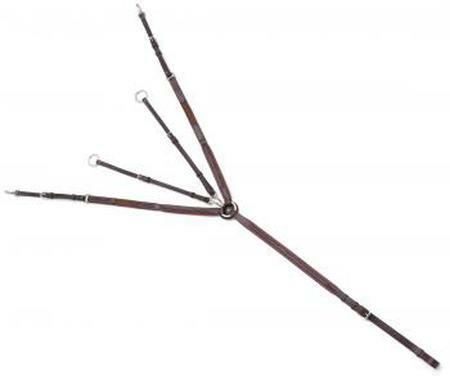 Attachment is easy on the horse. 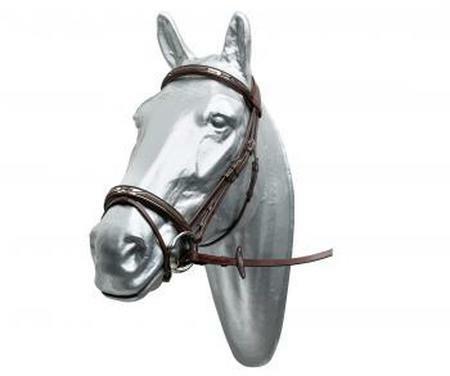 With stainless buckles. Wicket and Craig American leather is known for its rich color and willingness to take oil. Our Dark Brown Leather collection is accented with champagne colored stitching, enhancing its overall beauty. 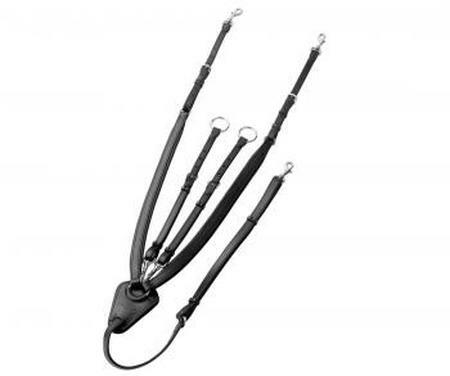 Convert your bridle in seconds. Wicket and Craig American leather is known for its rich color and willingness to take oil. The Europa™ Collection is designed using the more generous European Full and Extra Full sizing, and is made with fine quality, prefinished Italian leather that is soft, supple and ready to use. No oil required, simply wipe clean after use and condition as needed. 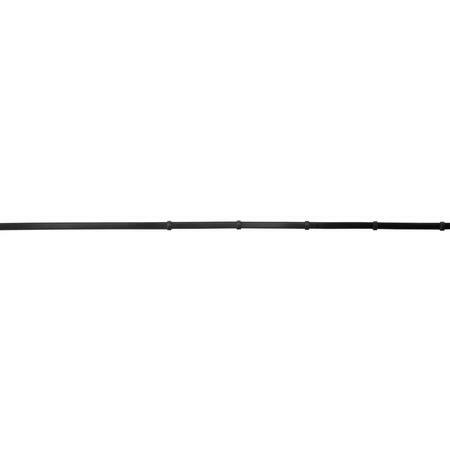 SKU 470011Our Price $179.95 $97.18 On Sale! 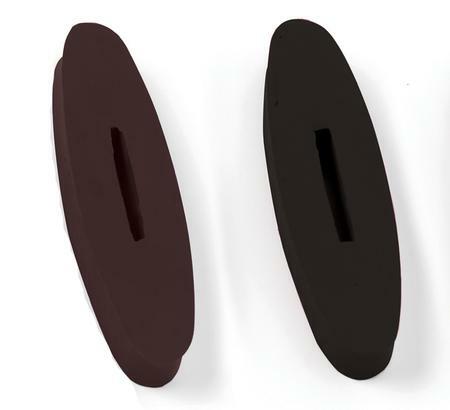 Plush premium sheepskin is used the the Europa™ Shaped Sucingle Pad. Quilted cotton back with hook & loop straps for easy on-and-off. 56" long x 6" wide. 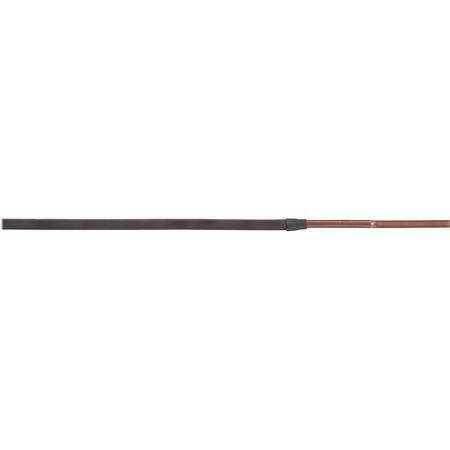 SKU 470221Our Price $109.95 $60.47 On Sale! 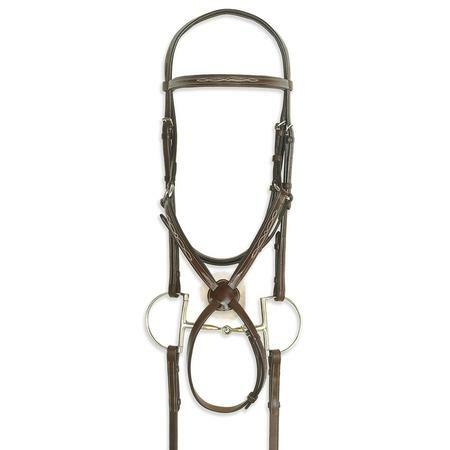 The Ovation® Flat Running Martingale is expertly crafted from England's finest leather. 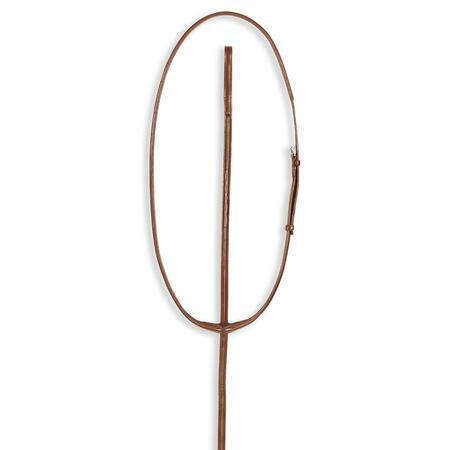 SKU 408384Our Price $74.95 $40.48 On Sale! 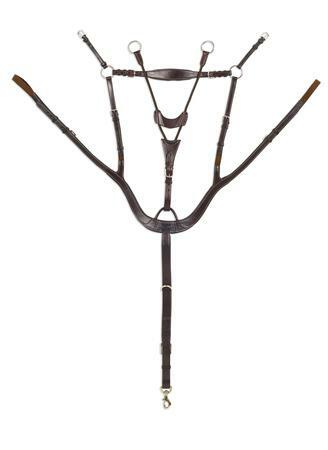 Lever noseband allows for greater control of a stong horse. Crafted in England's finest leather. 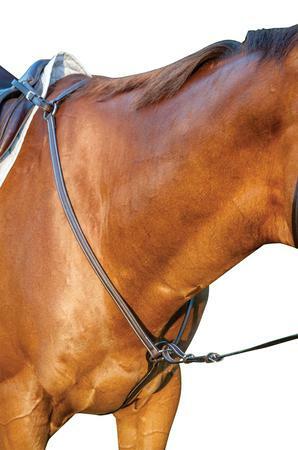 The Natalia Browband provides subtle bling. 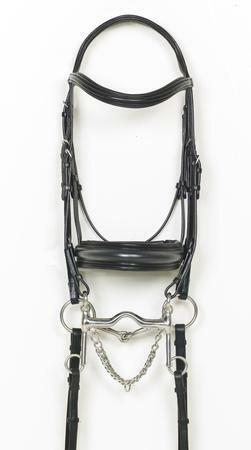 Padded, with graduated clear rhinestones in the center of the browband. Show off your USA pride with this elegant browband featuring rows of red, clear, and blue crystals. 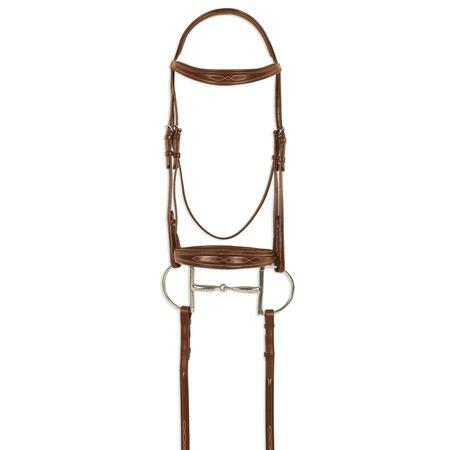 Leather and classic web surcingle with multiple dee ring placements, brass hardware, and soft leather at the withers. 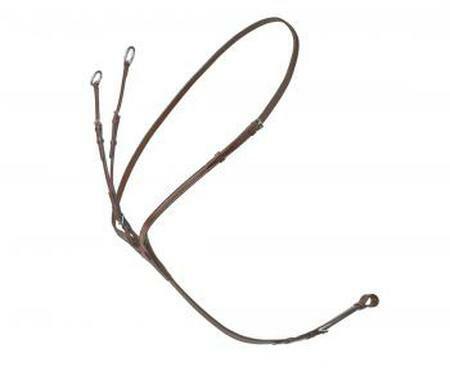 Add a bit of bling to your ride with the Princess Browband. Padded and featuring square rhinestones in an alternating pattern. 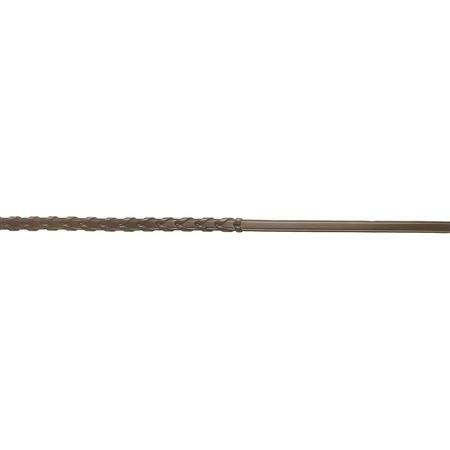 SKU 468231Our Price $95.00 $51.30 On Sale! 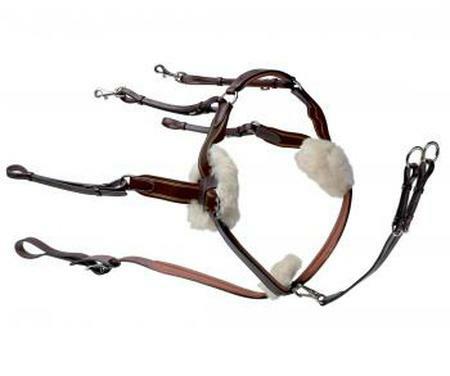 Large round crystals adorn this elegant browband. Gold heart charm centered in the middle of this beautiful browband. 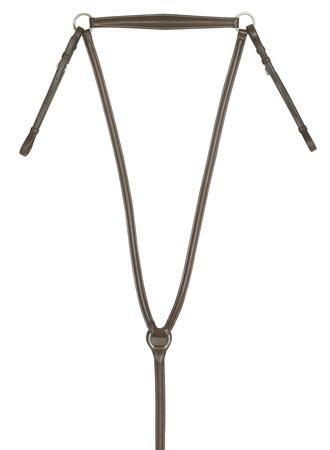 Make bit changes a breeze with these snap end cheekpieces. 5/8". 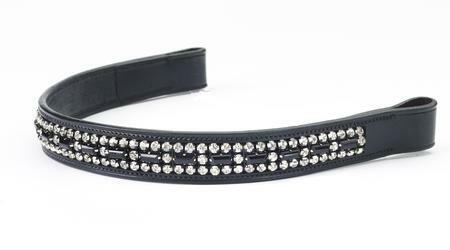 Bling is the word with the Veronica Browband. 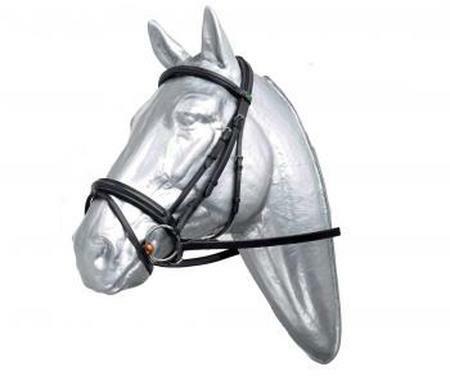 Clear rhinestones in two sizes creat a lot of sparkle, and soft padding is comfortable on the horse's head. 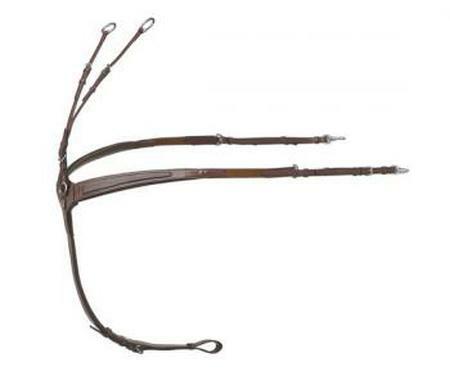 Elegance is the Victoria V Shaped Browband. With centered subtle alternating pattern and soft padding. 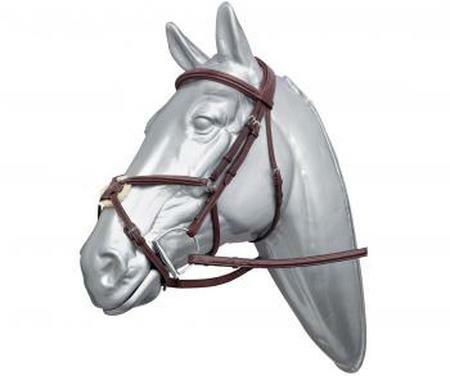 Made in Italy this breastplate from Prestige features supreme quality and durability. 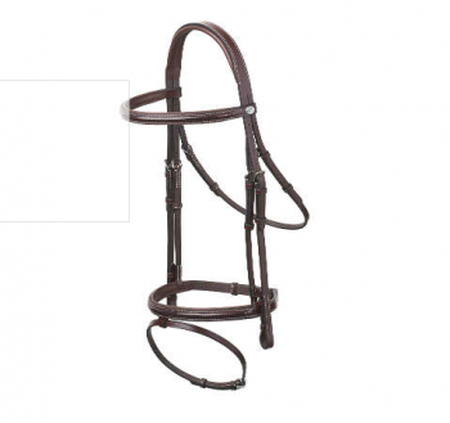 The five point breastplate is designed to keep your saddle securely in place while providing maximum comfort and range of motion for your horse. 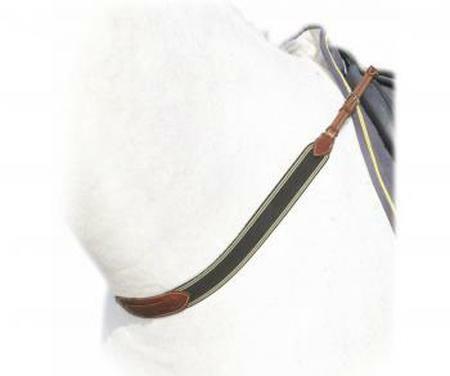 It is fully adjustable and is fitted with genuine sheepskin disks at the shoulder and chest points to ensure that your horse stays comfortable while training and competing. Finished with premium stainless steel fittings. 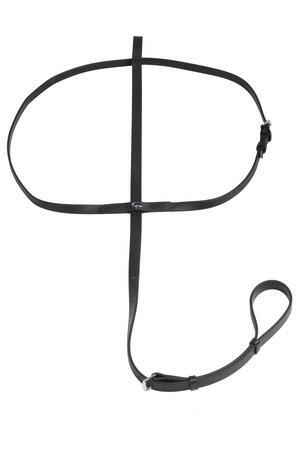 Breastcollar for trekker. Colors: black/tobacco. 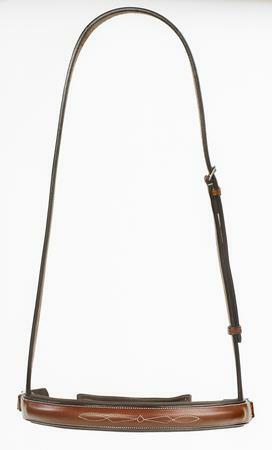 Leather breastplate with elastic and forked martingale. Sizes: full/cob. Colors: cognac/black/tobacco. 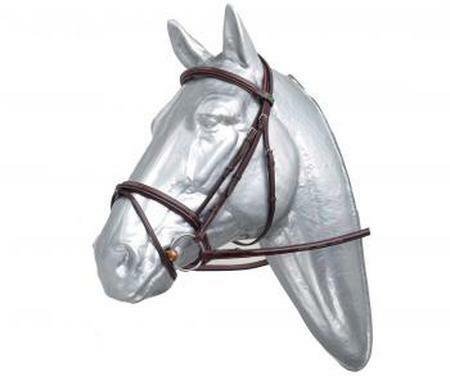 Pegaso breastplate available also with brass buckles. 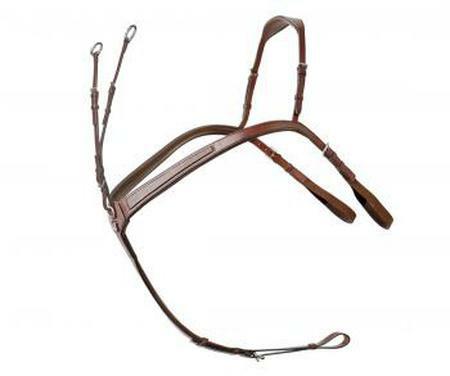 This cross-type headstall has the same features as the E 126 Sport Windows model, but comes in a smooth-surface version with colored stitching: white and red stitching for the tobacco brown headstall and white and turquoise for the black one. Includes dust bag for optimal protection. 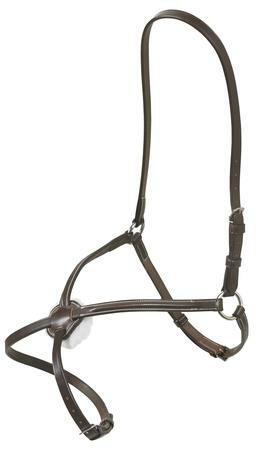 E128 Sport Windows double-drop noseband headstall This double-drop headstall, with its intricate workmanship and single-ridge profile, is fabricated in EU-made high-quality leather. 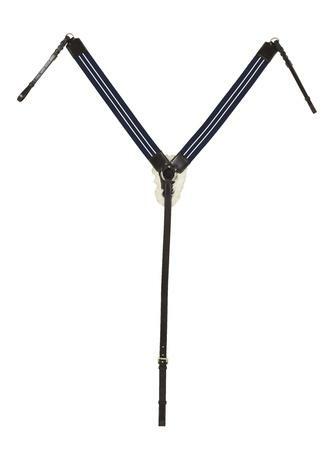 Its simple, lightweight, lines lend it an eye-catching appeal. 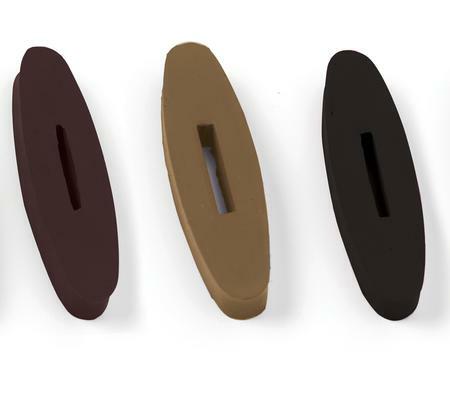 The crownpiece is made out of a single piece of leather, resulting in a wider surface. The effect is that pressure bearing down on the most sensitive area of the poll is spread more broadly. 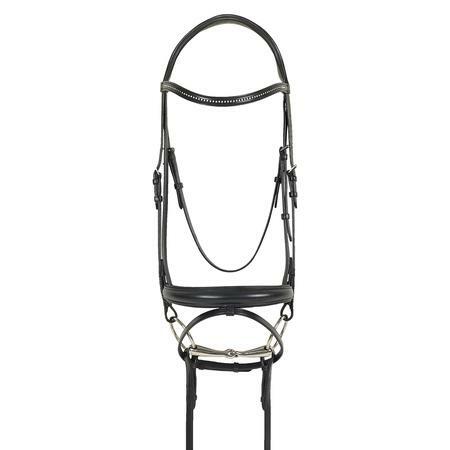 The padding, in soft perforated leather, further ensures the comfort of the horse. 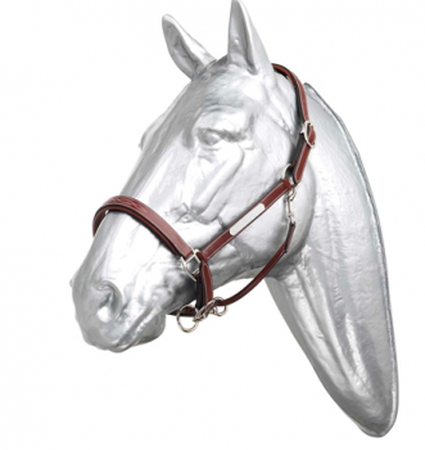 The buckles and metal components are in material of the highest quality. 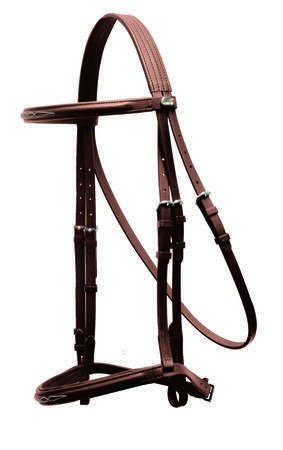 This headstall with its double-drop noseband has the same features as the E 128 Sport Windows model, but comes in a smooth-surface version with colored stitching: white and red stitching for the tobacco brown headstall and white and turquoise for the black one. 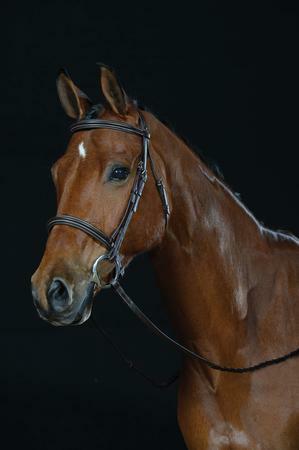 Elegantly worked English headstall with single ridge profiling. 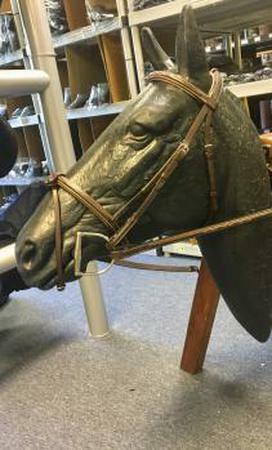 Alterations can be made to the noseband on both sides. 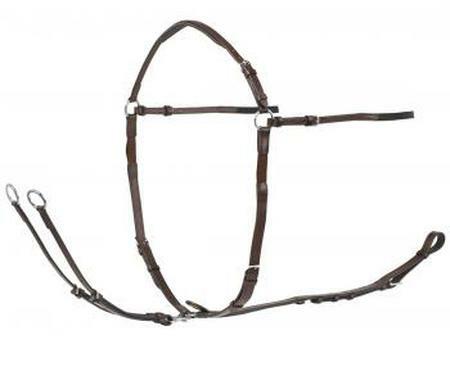 The noseband, the browband, and the crown piece are fitted with soft leather padding. 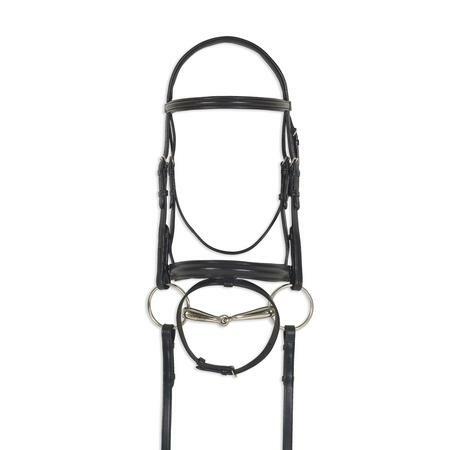 The headstall is elegantly embellished with contrasting stitching and the browband and the noseband have elegant patent leather inserts. Sizes: cob and full Colors: black and brown. 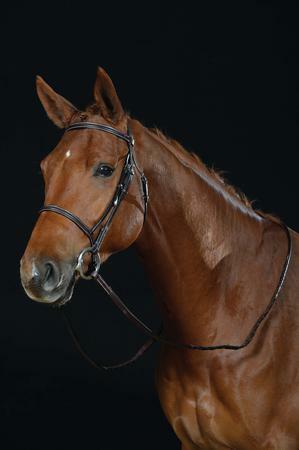 Drop noseband with soft leather padding. 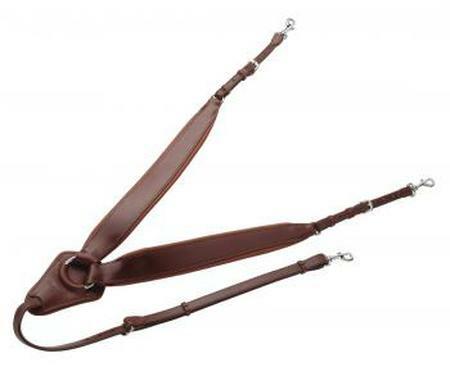 Leather running martingale, made from the finest of Italian leather. 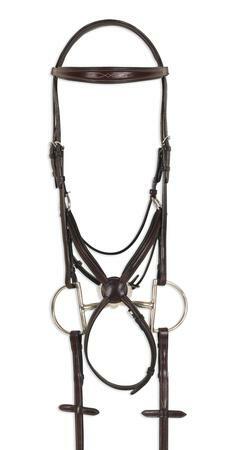 This beautiful flash bridle is a perfect example of the high quality Italian craftsmanship that Prestige is known for. 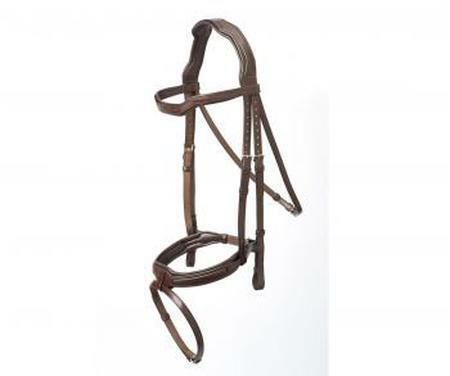 The triple-ridge profile on nose and browband gives it a new modern window like look. 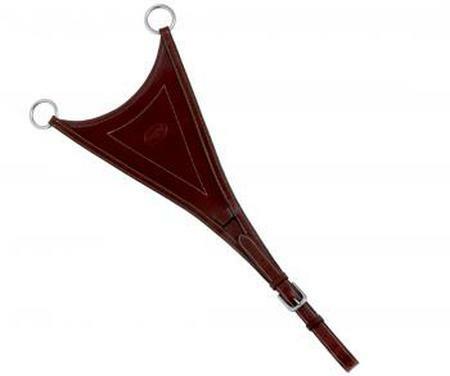 The mono-crown is anatomically shaped adding comfort and decreases bulk across your horse's pole. Rather then having the conventional straight-line profile, the nose band curves downward, a design gives the cheekbones greater freedom. Includes a protective bag. 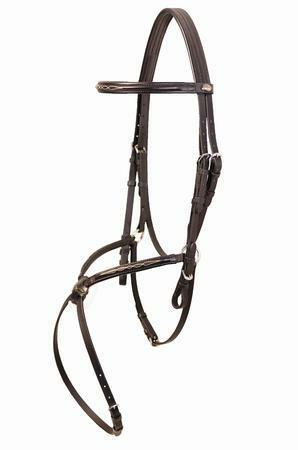 Black bridle features teal and white fancy stitch on noseband and brow. 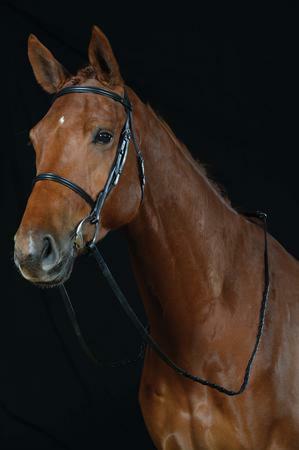 Tobacco bridle features red and white fancy stitch on noseband and brow. 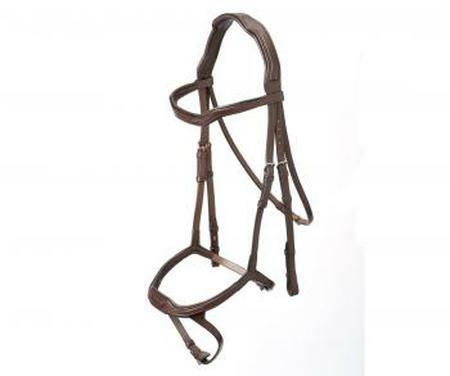 1st Prize Spoga Horse Innovation Award 2013 Leather triple raised bridle. It is characterized by the elegance and simplicity of form. The overhead is equipped with an extra padding that ensures a reduction in the pressure on the most sensitive area of the head of the horse. 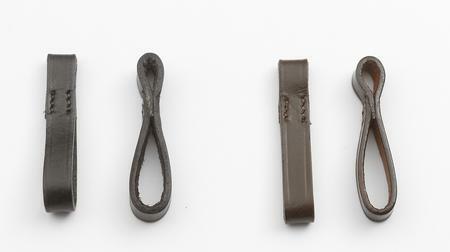 Buckles and components of high-quality stainless steel. 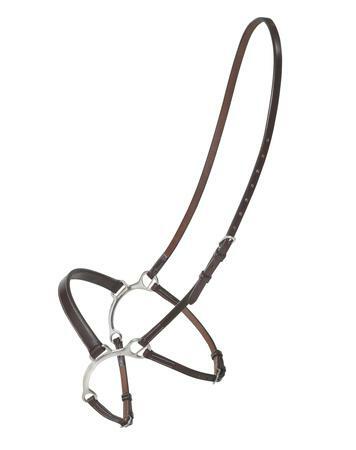 This beautiful figure-8 bridle is a perfect example of the high quality Italian craftsmanship that Prestige is known for. 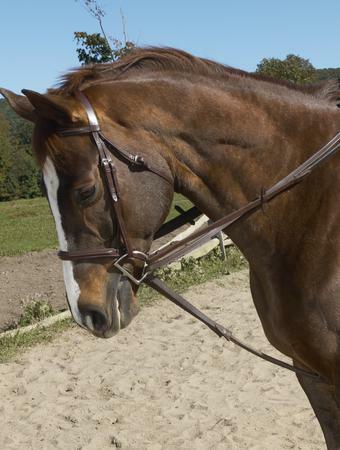 The raised noseband is fancy stitched in a contrasting white thread. A padded monocrown adds comfort and decreases bulk across your horse's pole. Non removable fleece on Figure 8. 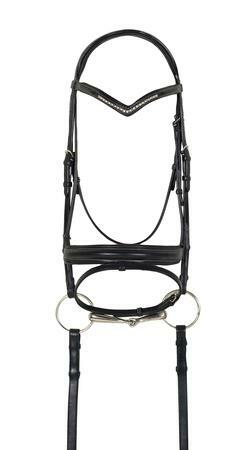 Quality Italian workmanship has gone into this Prestige Panarea Bridle with an elegant curved swarovski browband. 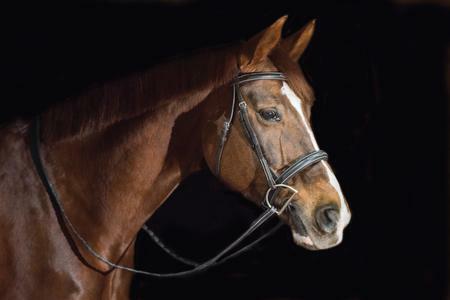 The crown and noseband are both anatomically shaped and padded which ensures reduced pressure in the highly sensitive areas of the cheek bone and ears. 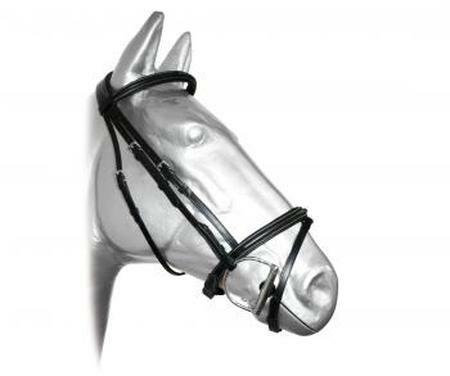 Crank style noseband with removable flash. 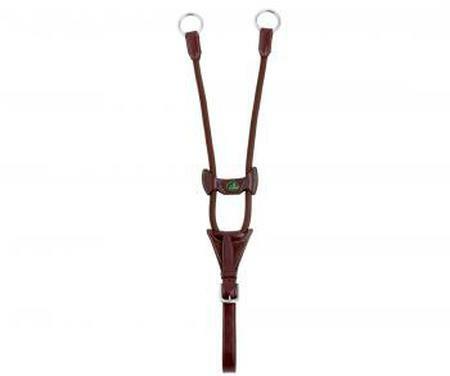 Standing martingale from Prestige offering premium supple leather and fancy stitching. SKU 43640Our Price $223.00 $84.00 On Sale! 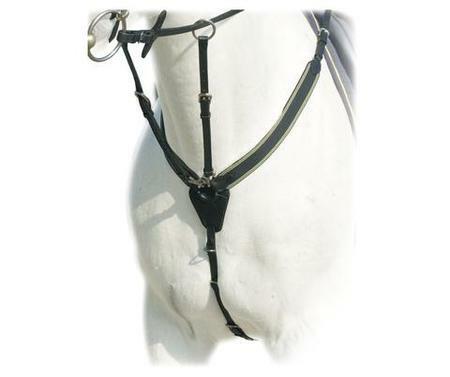 Easily convert your bit and bridle into a lunge caveson. 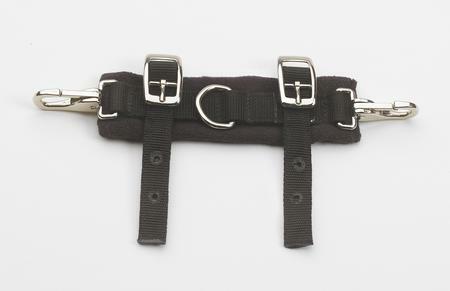 Snaps quickly attach to your bit and buckle straps secure the converter to your caveson. 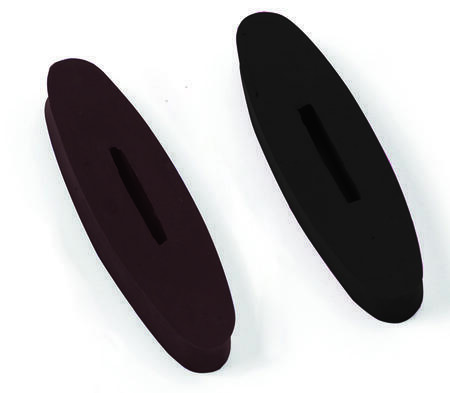 Replacement fleece disks for the Ovation 5-Point Breastplate (467280). 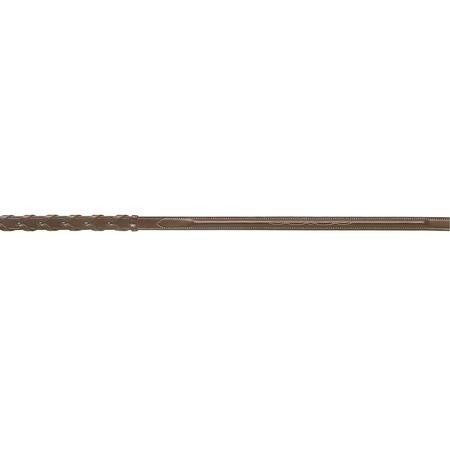 SKU 468664Our Price $39.95 $21.97 On Sale! Regular Price! : $223 Now Only: $84! 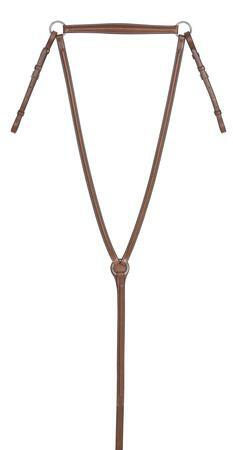 Martingales on sale for only $84.00 That is 60% off the regular price!!! Supplies are limited, no rain checks! 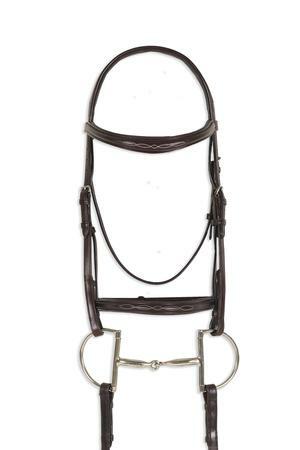 Get this martingale FREE with the purchase of a sale bridle! SKU 43842Our Price $223.00 $84.00 On Sale! 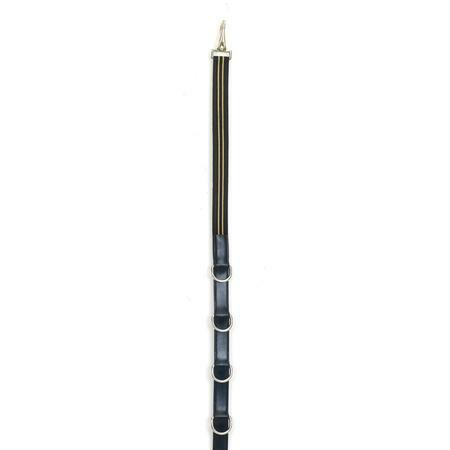 SKU 43841Our Price $223.00 $84.00 On Sale! 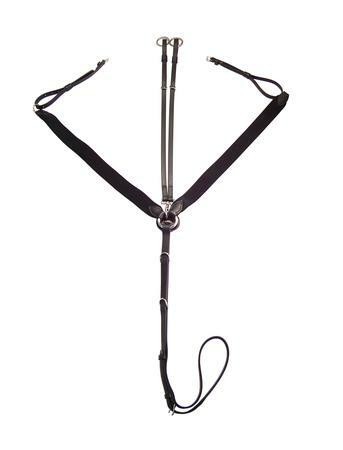 The Tekna® Standing Martingale features stainless steel hardware and is made of QUIK-CLEAN material. 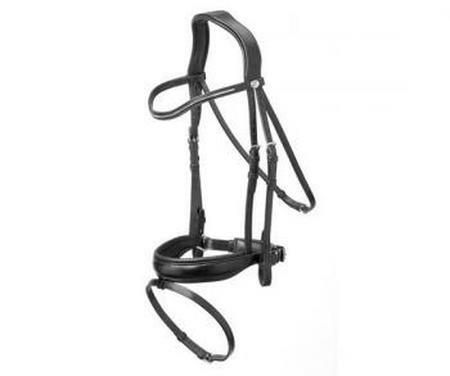 The Tekna® Hunter Bridle features lightly padded fancy stitched brow and nose, with hood stud end cheekpieces for a traditional appearance in the hunter rings. Made of QUIK-CLEAN material. 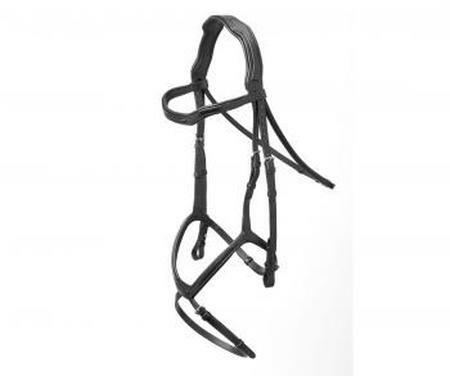 The Tekna® Fancy Stitched Snaffle Bridle features a fancy stitched brow and nose, with buckle end cheekpieces. Made of QUIK-CLEAN material.